Slow day at the office then, is it Ben? 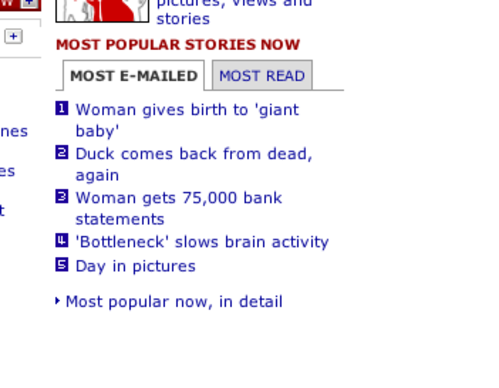 Never mind the duck, my thoughts are with the mother of the giant. Those 'most popular stories' lists absolutely terrify me. As does NOT coming back from the dead. Lucky duck.